Special thanks to all our international visitors! I’m Sorry! That’s What I Meant to Say! There’s a little evil in all of us– all of us that matter, that is! Those with no inner evil, if they do exist, don’t last very long. No matter how sweet, dainty or cute, there’s a little bit of the Incredible Hulk ready to peek out once we hit the breaking point. It’s the part of us that is politically incorrect and keeps our scoured souls alive and well. But is it a good idea to speak your mind? Is it necessarily evil or just rude and stupid? Mostly, it’s a matter of communication; a sort of a time and a place dilemma. In the example of the young lady above, her rude thoughts could never be heard by the customer without the risk of losing her job. It wasn’t the time or place. Saying the right thing to keep your job is called “posturing.” Posturing in this case is behaving in a way that impresses or deceives someone. In statu quo, as it were, requires a well-developed posturing personality, while your actual personality is in check. One of the first steps in determining how people communicate is determining personality types. In his book, Psychological Types, Carl Gustav Jung theorized that humans experience the world by four functions: sensation, intuition, feeling, and thinking. 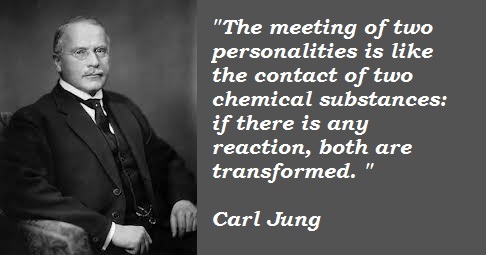 Jung believed in two pairs of psychological functions. One he describes as the “rational,” or judging functions, thinking and feeling, and the other pair as the “irrational,” or perceiving functions, sensation and intuition. Take the personality test yourself! Once preferences are tested and decided, it is much easier to determine how people communicate and, more importantly, how people do not communicate. More often than not, people don’t like each other nor understand each other merely because people say the same thing a different way. One example involves a news reporter from Philadelphia, Monica Malpass, who, while interviewing the fire chief in Allentown, PA, was visibly appalled when he stated that “it was luck that only three people died” in a retirement home fire. The chief was a practical thinking, judgmental extrovert. The slightly introverted, compassionate, feeling reporter continued her report based on her viewpoint that 68 residents were saved. You can be sure that the thick-skinned fire chief was not at all offended by her characterization of the event. Of course, once you are branded a certain personality type, that’s not the end of the story. If you answer the test questions honestly, this indicates your actual personality type, or what you would think and say with a couple of friends over a few beers. Like the young receptionist at the beginning of this story, we all have two personality types– the actual and the postured. Hopefully, you behave differently at the office or during an interview than you do at the bar. This requires a little more extensive testing, and very few folks end up with the same personality type in both casual and formal settings. My actual personality type is extroverted, sensing, thinking, judgmental. My posturing personality type is extroverted, sensing, thinking, perceiving. Apparently, I’m overbearing, but I can fool some of the people some of the time. 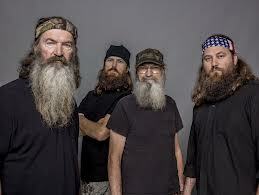 There are folks that can’t posture at all, but I think they’re on Duck Dynasty. Oops! I’m sorry! That’s what I meant to say! Posted in Fantasy Fun, It's part of the language!, Law and our society!, Real life	| Tagged communication, human relations, psychology, sigmund freud, talk	| Comments Off on I’m Sorry! That’s What I Meant to Say! Who comes to mind when you think about the world’s most successful coach? A lot of big names impress us, particularly in the National Football League and for good reason. It’s tough to win in the NFL and names like Vince Lombardi, Don Shula, Chuck Noll, Paul Brown, John Madden and Tom Landry are remembered not because they were good coaches . . . they were great coaches. The memories of great college coaches also abound – Bear Bryant, Ari Parseghian, Woody Hayes, Knute Rockney. From women’s basketball to high school football, there are hundreds of obscure coaches like Larry Kehres, Jack Curran, Scott Rueck and Gil Steinke. Many were descent athletes before they plunged into coaching; some were not. Chief was one-quarter Mohawk Indian and his Native American heritage dominated his features. Bronze skin and a lantern jaw complimented his coal-black hair, which swept straight back from his forehead. In his later years, his dark eyes sparkled as he went back in time, telling tales of the gridiron, ball diamond and boxing ring, his weathered face and jaw set in fiery determination. 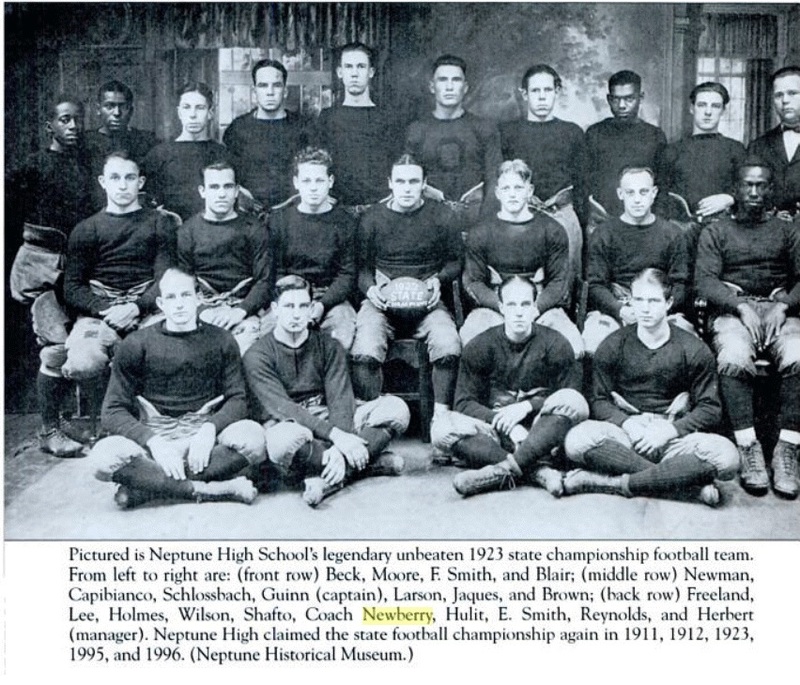 Chief’s athletic career began at Neptune High School in New Jersey, where he captained the football team and returned to coach winning teams until 1924. He won two (2) state championships both as a player and a coach, one in 1912, the other 1923. Winning, let alone capturing state championships, was tough at Neptune, since Newberry’s football squad consisted of about 19 boys, smaller than most of Neptune’s opponents. Atlantic City High School, a top enrollment, Class “A” team, booked a “breather” before a big Thanksgiving Day rival game with the National Farm School (Delaware Valley College). That “breather” was little Neptune High School and A.C. was riding a five game winning streak, all shutouts. Newberry’s band of gridiron bandits beat Atlantic City 6-0. Atlantic City went on to win the South Jersey Championship. The following year, Atlantic City traveled to Neptune bent on revenge for the earlier loss, but Newberry’s boys slaughtered the Vikings 32-0, their only loss of the season. As the all-sports coach at Neptune, his baseball team was also stellar, capturing the New Jersey State title in 1923, the same year as his football championship. The diamond players racked up a record of 23-0 against its opponents. The following year, Atlantic City was undefeated, but Chief was now coaching for Atlantic City! In the spring of 1925, Coach Newberry helped coach the Viking baseball and track teams, both winning their respective South Jersey Championships. He left Atlantic City’s team after a year to become the athletic director at Upsala College, but the draw of the gridiron was too strong as he took the helm of the football team at Manasquan High School and produced two consecutive title teams. His success attracted attention up and down the East Coast and he was lured to Florida where he produced a string of unbeaten the title teams for 12 years for the Miami Military Academy and the Florida Military Academy. His 1933 Miami football team was not only undefeated, but held all opponents scoreless. After high school and before his coaching career, Chief attended Syracuse University where he was a outstanding fullback. He also played basketball, ran track and played baseball for the Orangemen. In between, Chief would do a little boxing and wrestling on campus just for fun. He played professional football for the Atlantic City Roses and the Newark Tornadoes for a few years as a fullback, quarterback, placekicker and punter, but severe knees injuries slowed him down after a few seasons. The ravages of the old injuries caused him to shuffle in old age. But the fire was still there as I watched him slowly drag his feet, open the trunk of his car, a black 1958 Chevy, and pull out an old football. “Let me show you the secret to punting the football,” he said in a deep voice. “Now I can’t really punt it far anymore, but I can show you the basics,” he continued as he dropped the ball and launched a perfect 30 yard spiral. I was amazed that this old man could hardly walk, but kicked the ball so perfect and with such ease. He grinned as he watched the ball sail and hit the ground. He stared across the field for a moment and I knew he was somewhere else . . . somewhere else in a different time. He loved football. I walked into the church at Linwood, New Jersey that hot summer day in 1972 with my father. Chief was there, lying in state in front of the church, his wife, Peggy, crying and sobbing, “My Chiefy . . . God’s taken my Chiefy!” At the sight of my father, she jumped to her feet and clung to my dad, still sobbing “My Chiefy!” As I walked to the casket, the barrel-chested Chief looked much in death as he did in life. Still robust, still bronze, but silent. The grimace on his face was the same one I saw when he described how determined he, or anyone, should be when running with the football. My father stayed for a few minutes to console Mrs. Newberry. No one else was in the church. As we left, I turned and looked back at the sad, lonely scene. It didn’t seem right. What of Chief? I thought. What of Chief? Posted in Celebrity and Fame, Real life	| Tagged football, Native Americans, Neptune, old timers, pugilist, sunshine state, Syracuse	| Comments Off on Chief! It reads like a movie pitch. A double-amputee Olympic runner who supposedly guns down his girlfriend by accident on none other than Valentine’s Day. As the movie dawns on the screen, a beat up 1959 Peugeot convertible rolls up to the scene of the crime and a short dark-haired stogie-toting detective in a rumpled beige Italian raincoat steps out, a swirl of smoke trailing behind. Oh, one more thing, it’s not a movie script, but the real life trials and tribulations of the controversial runner, Oscar Pistorius. The highly successful Paralympic champion from South Africa is now on trial for killing his girlfriend Reeva Steenkamp in February of 2013. Oscar claims it was an accident, that he thought she was an intruder and shot her through the bathroom door. Paranoia, stupidity or plain old murder? We may never know but I do know that most intruders rush to the bathroom as soon as they break in a home or building, right? And, although grade school teachers throughout the decades drilled home the fact that “You should have gone before you left home,” the hapless burglars never seem to learn. 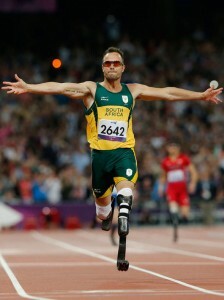 So it’s no wonder that Pistorius shot her through the door. Again, just sounds like a big misunderstanding. Oscar’s a little reckless when it comes to guns, shooting a gun through a car sunroof in 2012 and beneath a restaurant table just one month before Steenkamp’s death. His ex-girl friend Samantha Taylor testified in court regarding another gun incident where Pistorius jumped out of his car, pulled a gun and pressed it to the window of a BMW he felt was following him. All of these were probably just accidents or misunderstandings. Pistorius was always a pathetic creature since he was born with fibular hemimelia in both legs (no fibula bones in either leg), and at 11 years of age, both legs were removed at the knees. He began running in 2004 with a set of prosthetic blades and quickly became known as the “Blade Runner” after participating in the 2004 Paralympics. He ran in the T-44 events designed for one-leg-below-the-knee amputees, although his division is the T-43, two legs missing. Even with the upgrade to the so-called “more stringent” class, he managed to garner the vast majority of gold medals in the 100 and 200 meter distances. The answer is visibly obvious, the man runs on springs. Other humans run on flesh and bone. His leg stride is faster, because his legs weigh less, and his stride can be adjusted by the length of his blades. Pushing the heart strings aside, he shouldn’t be competing in the Olympics, but against other blade runners. These runners use a machine for propulsion, and if this is allowed, it is no different than letting someone with arthritis use a bicycle on the track. And now, perhaps because of his disability and the advantages it provided, or just a deep, evil, violent behavior, Pistorius is hoisted by his own petard. Glorius! 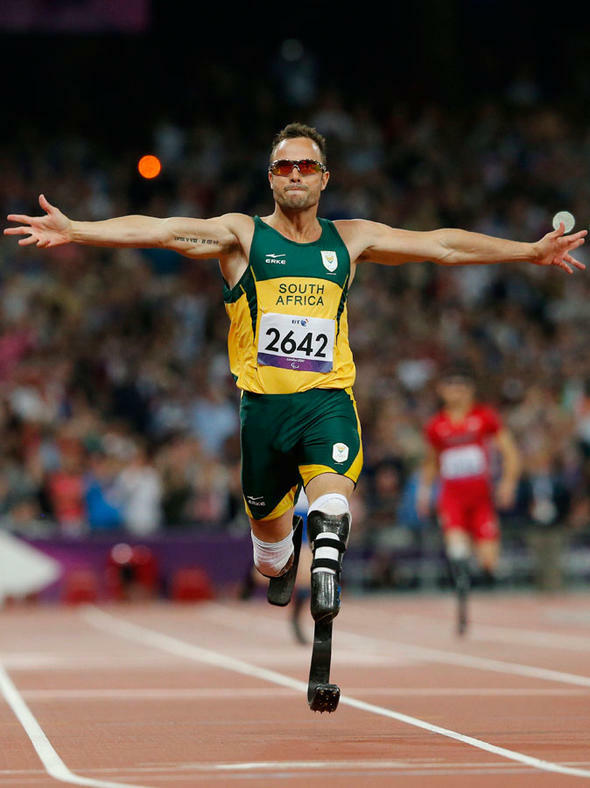 Posted in Celebrity and Fame, Law and our society!, Real life, Ripped from the headlines	| Tagged Bronze, bullets, gold, guns, marathon, murder, running, Silver	| Comments Off on Glorious Pistorius! “For the want of a nail, a shoe was lost. For the want of shoe, a horse was lost. For the want of a horse, a rider was lost. For the want of a rider, a message was lost. For the want of a message, a battle was lost. For the want of a battle, a war was lost. For the want of a war, a kingdom was lost. As depicted in this old nursery rhyme, small things can have dire consequences. Usually the consequences in real life are sad, but none are sadder than those which result in airline tragedies. Often such disasters are caused by a series of unfortunate events or coincidental happenings, but rarely, the reason is so simple, so asinine, that we wretch to think that so many lives were lost for such stupidity. The following two famous air crashes fall squarely in that arena. On December 29, 1972, Eastern Air Lines Flight 401 was approaching Miami International Airport shortly before midnight. Captain Robert Loft was working the radio as First Officer Albert Stockstill lowered the landing gear and lined up the wide-body aircraft, a Lockheed L-1011-1 Tristar, with runway Nine Left. A routine flight was about the go tragically awry. First, co-pilot Stockstill noticed that the nose landing gear “locked” light was not on. Captain Loft asked the tower to put the plane in a holding pattern until the crew could confirm the landing gear was locked and safe. 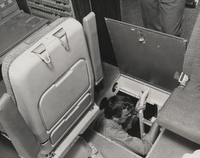 The tower radioed the information to the cockpit and ordered Loft to maintain “two-zero-zero,” or 2000 feet of altitude. Once the plane reached 2000 feet, Loft ordered Stockstill to engage the autopilot, while he and the first officer pried the lens off the landing gear light and tried to pry out the bulb. While they were working on this project, the Captain turned in his seat and told the second officer, Don Repo, to go down into the “hell hole” to confirm whether the gear was locked. Repo, who was acting as flight engineer, lifted the scuttle cover in the cabin floor that led to the avionics bay to view the nose gear. As Captain Loft turned to tell Don Repo to check the landing gear, he bumped the “yoke,” or steering wheel of the plane, causing the autopilot to disengage. The huge Lockheed L-1011-1 Tristar began a slow, undetectable descent towards the Everglades while the flight crew struggled to see if a $12.00 light bulb failed. After the crew removed the bulbs and replaced them, the fixture was inadvertently jammed in sideways and the bulbs remained lifeless. Dan Repo climbed into the avionics bay two more times, but could not see if the locking mechanism for the nose gear was aligned. During the confusion, a low altitude chime fell on deaf ears. Minutes later, the first wide-body airline crash was history as the left wingtip of the Tristar dipped into the Everglades. Ninety-nine of 163 passengers and crew were killed. The subsequent investigation revealed that the nose gear bulbs were faulty and the nose gear was, indeed, locked in place. Birgenair Flight 301 was destined to Frankfurt, Germany when it left Puerto Plata in the Dominican Republic, just before midnight, on February 6, 1996. 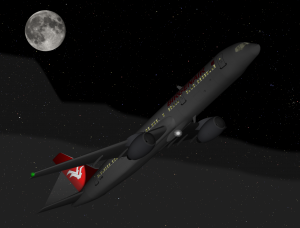 The plane was a state-of-the-art Boeing 757-225 and was this was its first flight in 25 days. The pilot, Ahmet Erdem, and the first officer, Aykut Gergin, powered up the airliner with less than a minute to determine whether to “rotate” the huge jet into the sky or abort the flight. Literally, a few cobwebs still lingered on the giant Boeing 757 after a 25 day hiatus. When a jetliner rolls down the runway during takeoff, the pilot or copilot “calls out” the speed to determine if the instruments are synchronized and when to apply back pressure to the yoke or stick to lift the jet’s nose off the ground. First officer Gergin called out the first reading of 80 knots, but Pilot Erdem’s gauge read about 40 knots. The disparity of the gauges usually results in a aborted flight, but Erdem decided to take off. Once the plane was airborne and about 4000 feet in the air, Erdem’s gauge began reading an overspeed condition. His flight gauge read 350 knots and accelerating. First officer Gergin’s gauges read much less, about 220 knots, but as overspeed warning signals went off, the pilot reduced speed based on his readings. As the plane slowed, the nose rose and the yoke shook violently in a “stick-shaker stall” alert designed to warn a pilot of an impending stall. 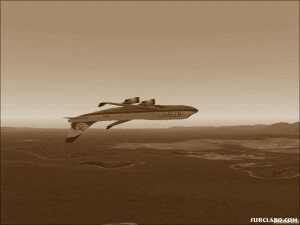 Gergin’s gauge read 200 knots and decreasing, while the pilot’s was 360 knots and climbing. 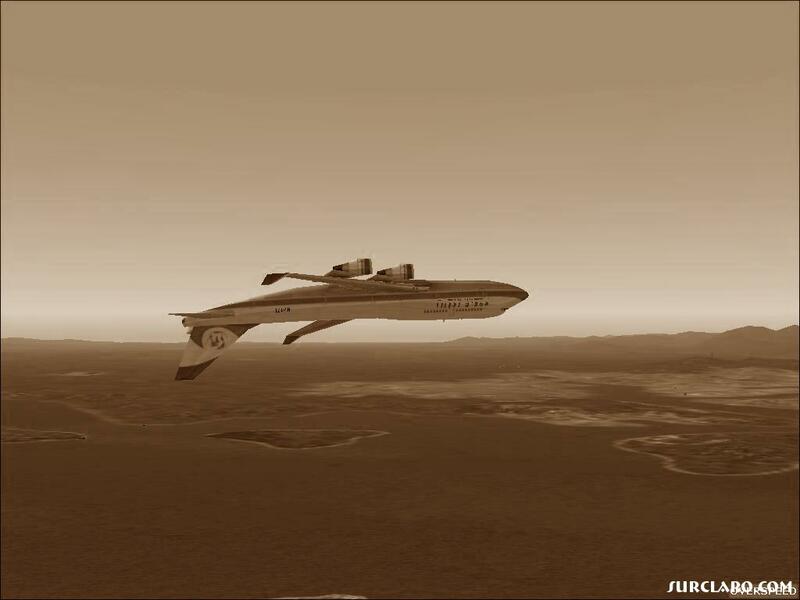 Finally, after the airliner was pitched sixty degrees or more nose up, Gergin tried to increase speed to level the plane, but there was not enough air feeding the engines at such a slow speed. The left engine flamed out and, in less than 5 minutes after take off, the jet plummeted in the Carribbean killing all 189 persons aboard. Investigators believe that a simple blocked pitot tube brought down the 100 ton airliner. The pitot tubes are little open ended pipes mounted on the side of the plane that capture passing air and the pressure developed from the speed of the plane is converted into nautical miles per hour, or knots. During the period that the Boeing jet sat at the airport, it’s believed that a small dauber mud wasp built a nest in the pilot’s pitot tube, almost sealing the tube from outside air. This is why Gergin’s reading was low while the first officer’s gauge was higher and correct. As the plane soared down the runway, the tube was not getting the full force of the wind passing over it. And the high readings when the airliner was ascending? The air already trapped in the tube expanded as the pressure dropped outside causing the gauge to read an excessive, if faulty, air speed. Although such events are rare, it is extremely disquieting to know that it takes hundreds of people to keep these monsters of the sky way afloat and that a $12.00 light fixture or a mud wasp can bring them down. So next time you’re about to board a flight, remember . . . you gotta believe! I’d Like to Buy the World a Coke! 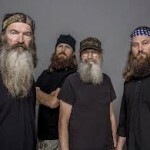 A company as large as Coca-Cola cannot avoid some type of controversy now and then. For instance, when Coke launched its ad campaign in China, the slogan “Coke Adds Life!” was translated into “Coke brings your ancestors back from the dead!” Sales skyrocketed in China, but, then, so did the criticism. It seems things can go awry in advertising even with the best intentions. Glenn Beck, political conservative American television and radio host, was offended by the commercial developed by Coca-Cola that was telecast at the 2014 Super Bowl. The commercial featured “America the Beautiful” sung in different languages by people of various cultures and countries. Coke aired this as a tribute to a tolerant and multicultural United States and to celebrate that rich heritage. Beck is quoted as saying “That’s all this ad is. It’s an in your face — and if you don’t like, if you’re offended by it, then you’re a racist. If you do like it, you’re for immigration, you’re for progress. That’s all this is, is to divide people.” What ails this guy? Now I didn’t like the ad either when I saw it, but for completely different reasons. It wasn’t funny, satiric or clever . . . in fact, it was a very nice ad, but nice ads have no place in the Super Bowl. I don’t want to see breast cancer, feed the hungry children, or charity advertisements. This is the Super Bowl! It’s the land of beer, wings, chili, beer, sandwiches, sausages, beer, hoagies, and more beer. Male or female, it’s our time to get away from all the troubles in the world and watch the two top (sometimes) football teams in the world duke it out and to see some world-class comedy commercials. Bring back the Bud Bowl, dogs delivering Budlight, Dorito munching gluttons, and goats headbutting nitwits off a cliff. And if you want a tender moment, don’t make it so glum. Coke knows how, like the Joe Green jersey toss? It’s a jersey, but it still brought grown men to tears! Breast cancer? Really? Isn’t it enough that half the NFL is wearing pink shoes? And for Glenn Beck and his so-called English speaking minions, if it offends you that a commercial includes other languages, there is something seriously wrong with you. The U.S.A. is multicultural and multilingual and was throughout its history. Criticizing the Coke ad as pandering to polyglots is a slap in face to not only the U.S., but the world. It baffles other nations that most people in the United States can’t read,write or speak a second language. This doesn’t baffle Glenn Beck. His answer: This is America! But English is already a second language for him. One woman commented that her mother was talking on the cell phone while in the check-out line in a grocery store. She was speaking a language the woman behind her didn’t understand and the woman’s audacity was unbound as she said, “This is America! You should speak English!” Her mother turned, looked at the woman and said, “I am speaking American. If you don’t like it and wish to speak English, go to England.” Her mother was a Native American. Hopefully, the world can forgive us for people like Glenn Beck. Unfortunately, it’s not a small minority and it is a loud, loquacious group. 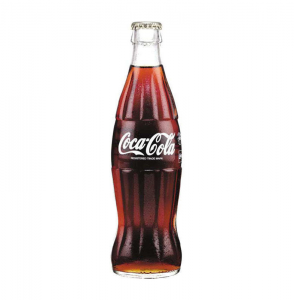 They do more to divide our nation than any Coke commercial can hope to do, so as a gesture of goodwill to all you polyglots, I’d like to buy the world a Coke! 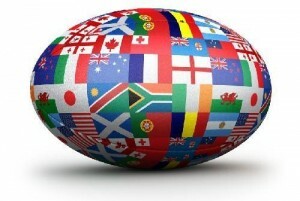 Posted in Celebrity and Fame, It's part of the language!, Politics, Real life, Religion, Ripped from the headlines, Television	| Tagged Broncos, conservative, hate, liguist, Pepsi, Seahawks, soft drinks	| Comments Off on I’d Like to Buy the World a Coke! 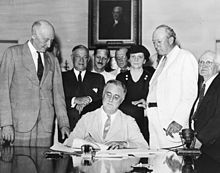 Franklin Delano Roosevelt signed the Social Security Act on August 14, 1935 which was approved by the U.S. Congress as a part of a series of domestic programs known as the New Deal. Social Security was initially designed as a protection, or aid, if you will, from the uncertainties of future, particularly old age, and was initially crafted to serve the elderly, poor, unemployed, widows and fatherless children. It certainly blossomed far beyond its original intent, as any loyal viewer of Judge Judy or the People’s Court can attest. Arguments ensued for decades regarding the merit, even the constitutionality, of Social Security, but for most of us, it’s something removed from our pay check that may never be seen again. The biggest question for those nearing their retirement is when to begin receiving payments, that is, should one retire and “take” social security money early, say at 62 years of age, wait until 65 or 66 for the full retirement age, or wait and get REALLY big payments at 70. Now there’s a lot of rules and regulations regarding what you can earn and about the nasty reductions to your spouse’s benefits (if he or she qualifies) should you take an early retirement, and because of this, just about every financial analyst, columnist, and newscaster says “wait.” “Wait” for that bigger check; it’s well worth it. Is it? Let’s check it out! Payments at 62, $1336.00 or $16,032.00 a year. In four years, he will accrue $64,148.00. At age 66, four years later, his payment of $1778.00 per month is an annual payment of $21,336. After four years, he will accumulate $85,344.00. That’s not chump change, but his $1336.00 per month at 62 would be a sizable $128,296.00! At 66, the pile is $256,032.00. Bob decides that life is too short to wait. And you? What’s in your wallet? A few weeks ago, a friend of mine sent me a link for the Darwin award winners for 2013 entitled “The 2013 Darwin Awards Are Out!” Being a fan of the Darwin Awards for the past 20 years, I clicked the link to enjoy the ultimate in an evening of sadistic chuckling. I began reading, but something was wrong. Nothing on this list was funny nor was it well-written, which is the trademark of the Darwin Awards website. 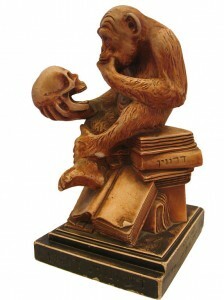 If you’re not familiar with the Darwin Awards, it is an honor bestowed upon those less intelligent or clumsier than the vast majority of the population, and who, through some stupid act or careless event, manage to eliminate themselves from human gene pool by killing themselves. Of course, as with any great and well-earned honor, there are honorable mentions for those talented folks who manage to survive events so horrendously capable of instant death that they are laughably entertaining as hell. Older tales that are now included and helped spawn the now famous Darwin Awards began circa 1985 on the Usenet newsgroup. 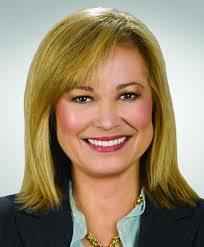 The awards were launched online in 1993 and in 2000, a series of books were published by Wendy Northcutt. She is responsible for the spit-and-polish macabre articles that we laugh at today. Naturally, a big celebrity name helps promote any cause, and what better celebrity to use that of Mr. 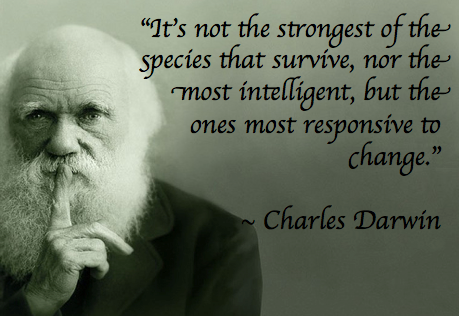 Survival of the Fittest himself, Charles Darwin. Although Charles Darwin was not referring to a “tooth-and-nail” struggle when he penned the words “survival of the fittest,” everyone knows that there’s nothing like throwing Darwin’s name around when it comes to genetic stupidity. A Bowling Green, Ohio student Robert Ricketts, 19, had his head bloodied when he was struck by a Conrail train. He told police he was trying to see how close to the moving train he could place his head without getting hit. Robert Shovestall, 37, shot himself while explaining gun safety to his wife in Glendale, California, when he placed a .45-caliber pistol he thought was unloaded under his chin and pulled the trigger. Shovestall’s wife told police that the incident occurred after her complaints about her husband’s 70 guns prompted him to demonstrate their safety. This story, however, did not garner enough votes to win an award, and as you read through the Awards, you will understand why simply putting a gun to your head is not worthy of the “nut-job” antics necessary to enter, or exit as the case may be, this holy band of genetic dead ends. What fascinates me more, though, is why anyone might fake a list or group of stories, when the real thing is much better. Sadly, this farce was picked up by several other sites including Joe for America (Joe the Plumber), in which the imaginary “Joe” failed to reprint the entire article, but simply listed the first eight and then posted Mr. Groover’s link stating, “Read the rest at My Underwood Typewriter.” One comment at the bottom of Joe for America did mention that the identical list was posted on Snopes.com in 2005, which explains the faked list in detail. Read the Snopes article here! It is safe to say that the “Darwin Awards are not out,” but simply evolving, one gene-splitting story after another. As for J.D. Groover and others like him, let’s award him an Honorable Mention for his attempted murder of the Darwin Awards. When Shakespeare wrote Romeo and Juliet and penned those immortal words above, he never imagined a world so politically correct that its people would suffer the self-paralyzing impact of a name. The late comedian George Carlin stated it best in the album Class Clown, when he said that words don’t hurt people; bad thoughts and bad feelings do. Take a word, any word, that is potential harmless and assign bad thoughts or feelings to it, and now it’s a bad word. Once bad thoughts, bad intentions, and bad feelings are attached to certain words, it becomes an evil thing. But there are no bad words! One of the most laughable inventions in modern language is to assign the first letter of a supposed bad word and add, well “word.” The N-word, F-word, or if you want to appear really nasty, the F-BOMB, are a few on the nonsensical list of hyphenated monikers that are designed to make us more civilized, when in reality, we’re simply chasing away intelligent extra-terrestrials. Now I’m not totally insensitive to people’s feelings and I can understand why blacks want to “own” the N-word, but when we legislate what we can say, it’s harder to determine whose the good guys and whose the bad guys. John Kennedy understood this by saying that he liked to keep his friends close and his enemies closer. But the pageantry of political correctness marches on as names, particular long established nicknames, are on the “feel good” chopping block. The Washington Redskins, a NFL football team established in 1932, is embroiled in the political river rapids that is DC. The term “redskins” is a slang term for indigenous or native Americans. It is considered an offensive term although its origin is probably due to the fact Eastern native Americans adorned their bodies and faces with red pigments during the early colonization of America. Native Americans were always referred to as “Indians” ever since Columbus convinced the world he found the Indies in the late 1400’s. The aforementioned Indians used the term “redskins” themselves to distinguish between the races, particularly during treaty negotiations, as not to confuse the French, who were apparently easily puzzled when trying to discern white men from red men. 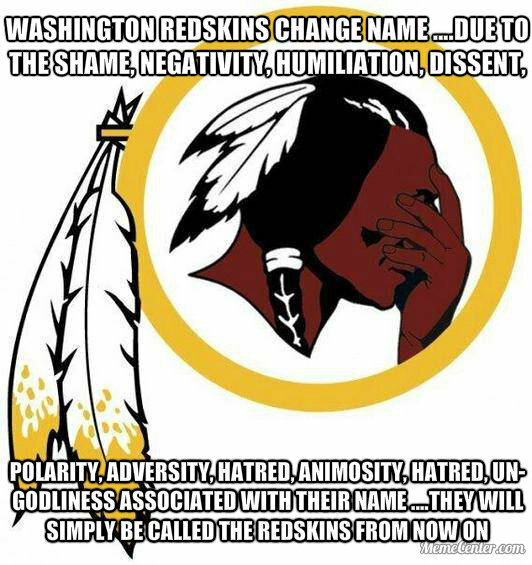 The term became particularly pejorative when Frank Baum’s Wizard of Oz celebrated the death of Sitting Bull by calling the Redskins nothing but a “pack of whining curs.” Needless to say, this went over like a lead tomahawk with our native friends and probably was the turning point for the use of the term “redskin.” More recent use of the name “redskin” is reserved for bar room fights, sports teams and potatoes. In fact, there are over 60 high schools alone that use the moniker “redskins” as a team nickname. Not one cowboy or Indian bit the dust due this fact. The Oneida Indian Nation doesn’t care. 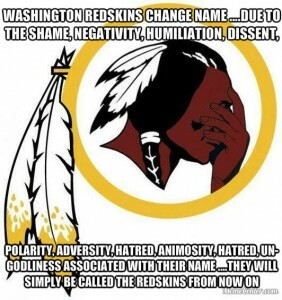 They feel the term “redskins” is an affront to their good name, a racial slur in fact, and want the Washington D.C. football team to change the name. It seems we can both revere or fault a name. The fans of the Green Bay Packers are fanatical “cheeseheads,” an endearing term they cherish, but “cheeseheads” is also an ethic aspersion for the Dutch and was an ethnophaulism used by Hitler during World War II. Of course, all this controversy would be avoided if the Redskins owner, Daniel Snyder, bowed to public pressure to rename the football club the Washington Bravehearts, but, alas, that would probably piss off the world’s population of Scotsmen and I don’t know about you, I’d rather face a tribe of wild Indians than a band of pissed off Scots. Then there is the pesky problem of trademark infringement since a patent investor (and neighbor to Daniel Snyder) registered the name Washington Bravehearts. Finally, adding insult to injury, there is a pub named “Bravehearts” in Hellertown, Pennsylvania. It’s that time of year, when the sun is low in the sky, the weather colder, and spirits are a little higher as we celebrate Christmas. Whether you associate the holiday with Jesus Christ, Santa Claus, or the Roman week of lawlessness, Saturnalia, it is a time of reflection for everyone . . . one way or another. 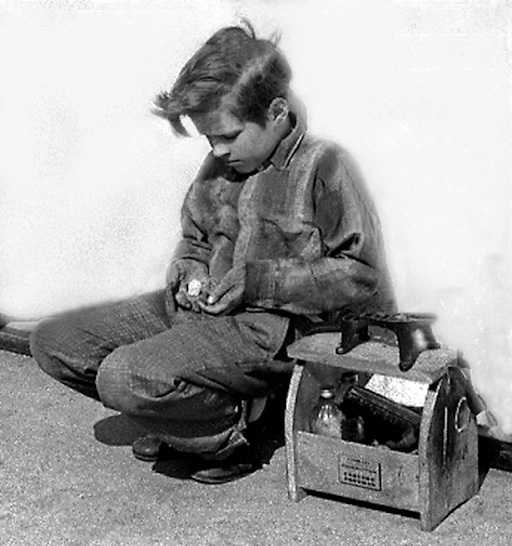 Last year on this date, I published a poem that is part of a family tradition, Little Tim’s Christmas, which tells the story of the last day in the life of a indigent shoe shine boy at the turn of the Twentieth Century. It is a sad tale which reminds us to be a bit more kind to those less fortunate than us. It is fitting to re-publish this tale a year later. Merry Christmas! Little Tim’s Christmas . . . But Tim never met with a comforting glance, nor even a pitying eye, As he thought of a home he heard about somewhere up in the sky. He saw a church with its open doors; the light and the warmth were there, so he thought he would follow the people in, if nobody seemed to care. He crept in softly and through the aisle, he wandered with noiseless feet, And then he sat down at the farther end of a softly cushioned seat. In the church, a bright and happy throng sang hymns and praises of joy, But no one noticed the shrinking form of the ragged and shivering boy. The sextant, after all were gone and the lights were low and dim, In the vestibule saw a blackening box and the form of little Tim. “Come boy, go out into the street! This is not the place for you!” he said. But when there came no answer, the sextant saw that the little boy was dead. O’ Friends be careful, there is so much more to do. Be sure there is no one needy here, close by in a neighboring pew! And when you go to your homes tonight, loved ones fondly to greet, Remember that many a poor one lives on many another street. There may be a form that is cold and others filled with dread, Or ragged souls that are begging, and small children crying for bread. Too often they perish because the flame of charity burns too dim. For many there are in this world of ours, alone like little Tim. Posted in Real life	| Comments Off on Merry Christmas, Again! Fifty years ago, the world was stunned with the news of a heinous homicide that haunts many of us to this day– the assassination of President John Fitzgerald Kennedy. Throughout the last fifty years, many tried to explain what exactly happened, including why we examine, investigate, and talk about this infamous event, still, we all fail to come to any satisfactory conclusion. We argue, we ponder, we care, but the big question is why? Most believe that we cannot accept the idea that a lonely loser can single-highhandedly kill one of the most influential political figures at the time. Some ponder the testimony of eyewitnesses, their statements and views still burned into our memories, who believed they saw and heard things that cannot be explained by the “official” versions. Others still believe that we cannot accept the senseless death of such a handsome and popular President. But most people never realize the obvious fact that this man really enjoyed being President. His father, Joseph Kennedy groomed his first son, Joe, for years in preparation of the run for the Presidential office. When he was killed in a special mission during World War II, the grieving Kennedy patriarch did not lose focus on the highest political office in the land and began fitting Jack for the job. Once John Kennedy became President, the nation as a whole felt a bit more united, although the United States suffered no major wars or political upheavals during the Eisenhower administration. But the country wanted more than a “do-nothing” President and with a surge of young baby boomers after the Second World War, the young fresh look of a handsome President at the helm fit the bill. Whether it was a routine speech or a crisis, Kennedy always looked very Madison Avenue and was far from mundane. Whether telling a joke, quipping with the press or issuing a stern ultimatum, Kennedy looked comfortable and in charge. He enjoyed his job and we, the people, enjoyed watching him do it. That is probably the biggest reason that an assassins bullet didn’t just kill a man that day in Dallas, but killed the spirit of a nation. A nation that was beginning to enter a frightening new era, but was ready to face any challenge with a new, strong leader. Most people living today were not alive when Kennedy walked the earth, and both young and old attempt to assess the success of his three short years in office. Many of the descriptions are flowery representations that try to include his best accomplishments, such as the Peace Corp, the Nuclear Test Ban Treaty, and support of the Civil Rights Movement. On a purely objective basis, however, Kennedy was an ineffective President whose opinions and policies pissed off a plethora of political and military personnel, and few of his proposals passed a hostile Congress. These policies and attitudes may also endeared him with the people, as his well-written speeches were delivered with a Shatneresque style– pausing often within sentences and emphasizing certain words or phrases. His New England accent fascinated the public and was fodder for late night talk show hosts and stand-up comedians. His death marked the beginning of the end of Presidential confidentiality. Many of his health problems were secret until the 1990’s, but the investigation of his death began the outcry from the public to release government records that rages on today. Kennedy’s death is the most talked about homicide in history and yet, there is so little evidence to confirm the conclusions. The last generations cannot comprehend the world in 1963 where there was little live TV coverage, no cells phones, no street TV cameras, no surveillance cameras, and few movie cameras. If a notable celebrity visited your town, you needed to carry your own film equipment if you wanted to save the moment. Film was expensive to buy and more expensive to develop, and . . . you either dropped it off or mailed it away, waiting for its return before you could see what your equipment wrought. 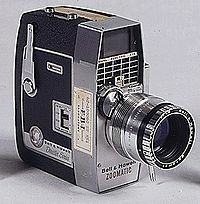 On November 22, 1963, Abraham Zapruder, armed with his Bell & Howell Zoomatic Super 8 movie camera, thought his film of the Presidential motorcade would become a family heirloom as he stood on a retaining wall, aiming his camera at the President and Mrs. Kennedy as they rode by. After the third shoot rang out, he knew he would change history. “They killed him!” he screamed at bystanders. Minutes later, he phoned his business partner and told he that, “I saw his head come off!” Zapruder would sell his film of the assassination for $75,000.00 and it would become the most studied piece of evidence in the entire investigation as the film captured the entire event. 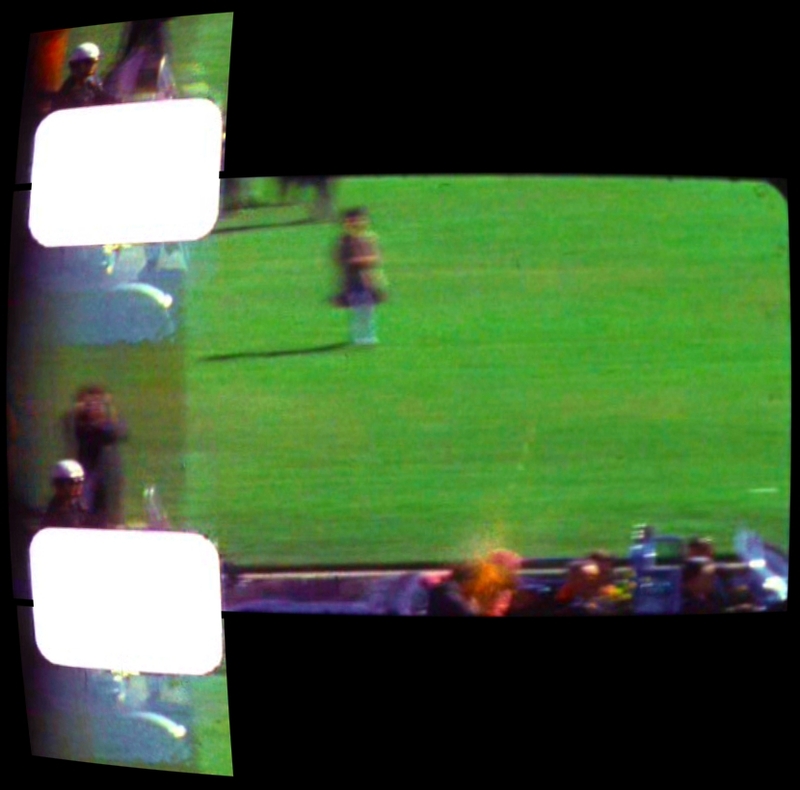 But Zapruder’s film added to the mystery, since it was more like an FBI training film designed to test the limits of new recruits. By today’s standards, it was shaky, dusty and the resolution poor. It captured the events, alright, but without the clarity needed to answer all questions, questions that remain unanswered to this day. One frame, 313, was so graphic, even by today’s standards, that it wasn’t released to the public until 12 years later. An enhanced version of that frame is posted below. It is the moment the third bullet struck the President’s head. Zapruder knew instantly what the rest of the world waited to hear– President Kennedy was dead. These words will haunt all of us that are alive today and heard those words on TV and radio on November 22, 1963. 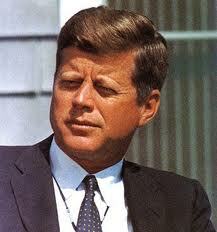 And we wonder how different the world might be if Kennedy was never struck down by an assassins bullet. We will never know, because it’s all a split second into eternity!